A senior paramedic has come up with a novel way to reduce emergency department (ED) visits from ‘frequent callers’ – by meeting them for a coffee and chat to discuss their needs. Rhian Monteith's idea has reduced frequent caller attendance in the Blackpool area by 90% and now the innovation is being introduced elsewhere. Frequent callers are classed as those who call at least five times in a month – or at least 12 times in three months – and cost the NHS millions of pounds a year. 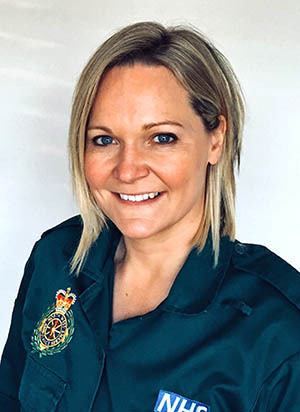 Ms Monteith was working as an advanced paramedic in Blackpool when she noticed that a small group of people took up a great deal of healthcare resources and staff time. Working with other NHS teams, she drew up a list of 23 patients, many experiencing mental health problems or loneliness, who had between them visited EDs 703 times in the previous three months, mostly taken there by ambulance. Ms Monteith decided to try to tackle their problems by simply meeting them for a coffee and a chat. Through mentoring and one-to-one coaching, as well as getting them involved with community activities and encouraging them to phone her rather than call 999, she helped ED attendances, emergency calls and hospital admissions drop by around 90% in the group. Eventually the individuals were calling Ms Monteith less often. The High Intensity User programme was then scaled up to cover about 300 patients in Blackpool over the following three years, saving the NHS more than £2 million. Ms Monteith now works as high intensity user lead for the NHS RightCare programme, which attempts to improve efficiency in the health service. She said: ‘This scheme makes sure people are not left behind in society and not medicalised or criminalised. ‘Every individual is put in contact with a person who cares about them, and stands with them in their time of need. The programme has now been adopted by 36 clinical commissioning groups (CCGs) around the country. NHS England now wants all remaining CCGs to take on the idea through NHS RightCare. NHS delivery director Tessa Walton said: ‘The High Intensity User programme is a fantastic example of what we are trying to achieve: improving patient care while reducing some of the pressure on NHS services through new ways of working. NHS England says there are about 5,000 people who attend major EDs more than 20 times each year. In 2016 they accounted for 0.05% of ED attendances, but about 3% of spending or £53 million.